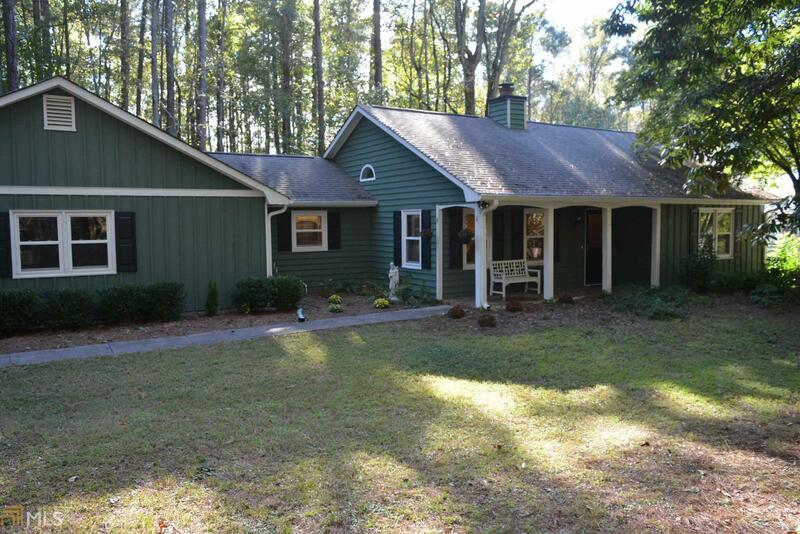 Looking for a Fabulous Ranch in the Heart of Peachtree City! Welcome to the Private/Serene Seating - Front Porch, Open Floor Plan, with Spacious Family Room w/Vaulted Ceiling, Real Bamboo Flooring and Wooden Beams, Bright Kitchen with Solid Surface Counters*Tile Flooring*Under-Counter Lighting*Back-splash Tile*Breakfast Area w/Window Box*Built-In Pantry as a Fixture*Laundry Room, Sun-room Overlooking Private/Wooded Backyard, Walk-Out to Patio Area, Split Bedroom Plan with Full Bathroom off the Hallway providing a Shower/Tub Combination, Large Master Bedroom w/Wood Beam, Master Bathroom offers Walk-In Shower/Bench Seat*Tile Flooring*Newer Cabinets w/Cultured Marble Counter*Walk-In Closet, 2 Car/Side Entry Garage. Directions: From Peachtree City, Travel Hwy. 54 East, Turn Right On Robinson Road, Follow To Robinson Woods Estates On The Right, Turn Right On Woodland Drive, Turn Left On Timber Ridge, Home Down In Cul-De-Sac On The Right!